The Swivel Trainer is a product born of necessity. What started out as a way to get fit again in 2012 (4 years after I was out of the US Navy), quickly turned into a dream. Then it became a passion. And now, it’s finally become reality. 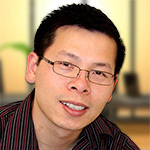 Hello, my name is Kevin Lam, inventor of the Swivel Trainer. I used to work out with something called “ab wheels”, something that had been around since I was just a teenager. I was working out with it, but grew tired of it quickly. I searched for all kinds of products to do what I needed, but couldn’t find any. With no other choice, I started designing my own. After all the design changes in both appearance and function, I truly feel it has reached its max potential in terms of durability, function and design. 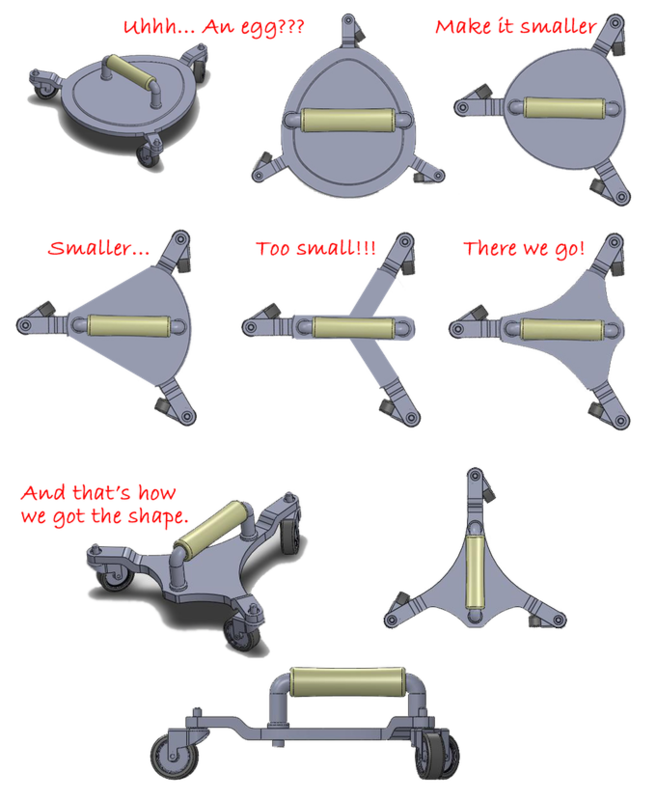 Even the recently known core training products like the Ab Carver or Core Coaster cannot do what the Swivel Trainer does. The Swivel Trainer will be available in 5 different colors and 5 different camouflage colors. For this campaign, our focus is on the “Classic” black design only (seen above). We intend to create more colors and design options in the future. Just about every component you see is made of a mix of plastic and nylon, other than the casters. 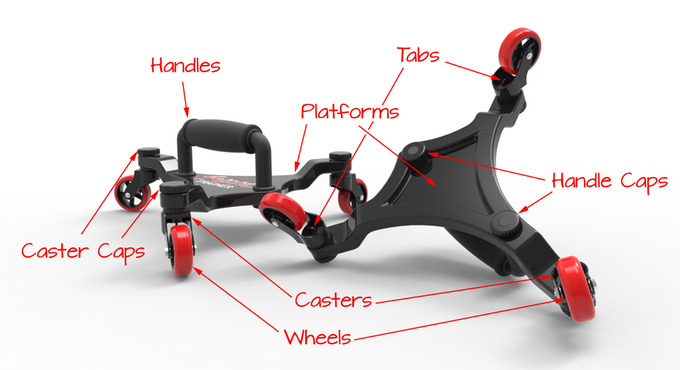 The casters are made of aluminum for strength and reduced weight. An entire set weighs only 4 lbs! It’s incredibly strong, but light. The handles consist of 4 components: hollow section, solid section, inner barrel and foam handle.These components are essential to your comfort and handling of the Swivel Trainer as a whole. It worked out pretty nicely, but as you can tell from the current design, I wasn’t satisfied. I just HAD to take it further. I had to ensure its structure was strong, its design was flawless, its function was right. That led to even more redesign of the different components, but the most significant changes were thicker platforms, larger handle foams, addition of caster caps and handle caps, retracted casters, addition of “tabs” to bottom of casters for easy removal without tools and a dip in the bottom of the platform to create a ridge/border. That very last change improved its look, its strength and also saved money on manufacturing. 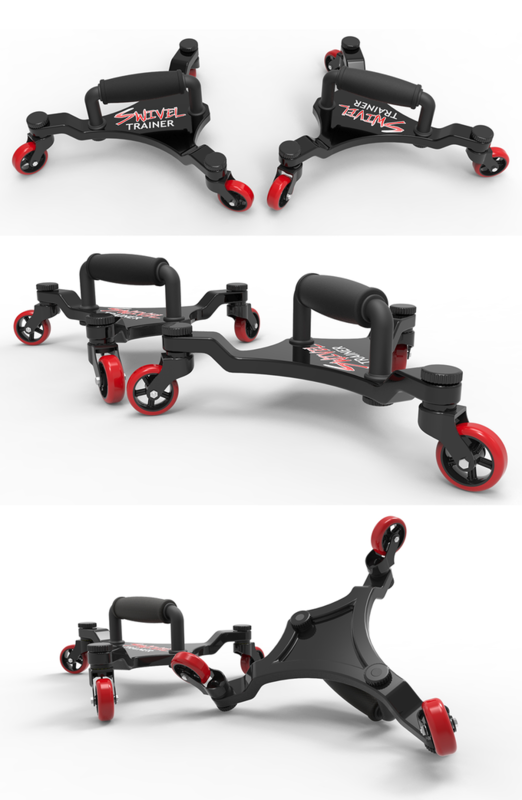 Aside from its many different exercise routines, what makes the Swivel Trainer very unique is that it is a fitness product that can be personalized by customizing the designs on the platforms and changing out the colors of the handles and wheels. In the fitness industry, you’re lucky to just place your logos on bottles, t-shirts, towels, pens, mats and so on. That’s nothing impressive. 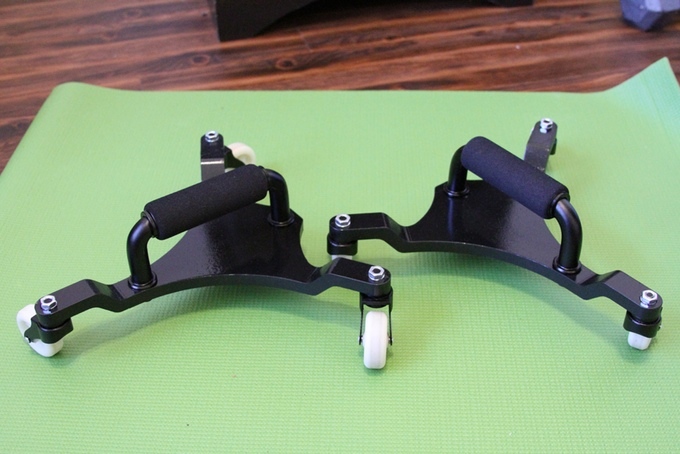 The Swivel Trainer is appealing and looks so good, you can put it up as a display in your home or gym as an art piece.